City Barrel Brewing is supposed to be a full-service brew pub too. I think that's slated to open this month. My long shot guess is that Char Bar will either temporarily or permanently move to McCoy's/Sailor Jack's space, using the currently parking lot as a lawn. This would let Char Bar to be unaffected by the construction noise, particulates, etc. from the Westport Manor project. The construction crew could use the lawn as a material staging area, or the developer could modify the plans so that the Char Bar building and lawn goes away, in which case Char Bar will stay in the McCoy's/Sailor Jack's space. Would make sense for Char Bar to move here if the project at existing location goes forward. And it would be opportunity to get rid of that annoying small surface lot in front of SJ (turn into gaming lawn). I'll miss the SJ lobster roll, of which is hard to find above avg in KC - but not surprising the place wouldn't last. I hope this isn't caused by the problems the beer industry is having right now. There are so many small breweries right now, even large brew companies are getting hit hard. Many have already started investing in new concepts that don't include beer. Look out for those announcements as I am sure they aren't far out. Beer is an extremely competitive game right now. Some former A&B brewers even started their own Florida company brewing/distributing micro-breweries' recipes... causing those micro-companies to not even need their own equipment or capital. I could also imagine that the restaurant industry/entertainment is becoming more competitive in KC. There are SO many restaurants and cool districts... DWNTWN, the bottoms, Crossroads, NKC, E39, even Brookside/Waldo/East Brookside, etc etc are all becoming more popular destinations. I almost never go out to Westport for dinner anymore (I am not a bar person, but I'd rather go to E39). I'm sad McCoy's is closing. That was one of the good ones. T' Davey Jones Locker w/ Sailer Jacks! It think its scary that corporate owned chains are starting to close in the metro like Potbelly, Elly's, Pizzeria Locale and I could see Qdoba, Zaxbys, and Jack in the Box close locations in the metro in the next year or 2. So this is a different conversation obviously, but I wonder if the same trend will happen with all of this new market-rate residential development that is being built. Surely, all these developers are competing for the same consumers. If the market becomes saturated, will housing prices have to go down to attract renters? It is cool to see KC blow up like this, but I can't help but wonder if it is growing faster than people can spend money without attracting tons of new people. The interesting thing about the potential residential saturation, as opposed to restaurant/micro-brew saturation, is that it's important and high-dollar enough to cause (or at least elicit) investment in jobs/headquarters in order to keep the residential developments from completely going under. That's in addition to a potential rent deflation race. I'd say the residential/jobs balancing act is a lot more akin to what we're seeing with the game of chicken re: hotel rooms to convention space. That said, I don't know what the counterbalance would be to over-saturation in the restaurant industry other than close some restaurants. Do any other mechanisms move in response to something that volatile and micro? I can't think of any right off the top of my head. If the city is essentially cordoning off an area as an Entertainment District and pushing bars and restaurants into that area, oversaturation and turnover seems inevitable. Oh well. Topic of conversation on KCUR right now. Had to cringe when one of the guests(a young person), bemoaned the tear down of the bank (beautiful old building) and the 50 spaces of parking (unofficial lot of westport) for a huge development. This was followed by a caller who spoke of buying in the Roanoke area so they could walk to McCoy's. "What do you call your act?" 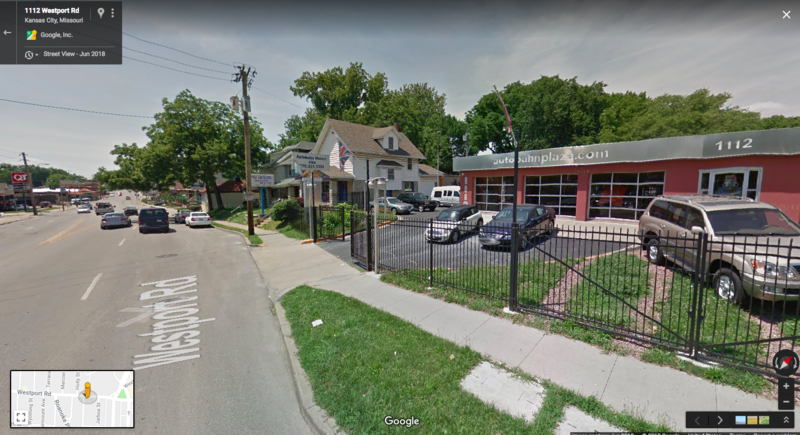 The north side of Westport Rd between Holly and Wiedenmann (just north of the old Berbiglia that was torn down for the new QT) is rumored to be torn down for apartments. The owner of the salon in one of the houses said they were being forced to move, and when I asked for more details she said they were tearing down the entire block. I find it more likely that only the homes fronting Westport Rd would be torn down or the neighborhood folks would go nuts. Anyone have details? I don't have any details, but driving by this week I can definitely confirm all of the businesses in those houses have been vacated. Also, the used car dealership has been vacated. That block is definitely being prepped for a development. It looks like this is just going to be a new building for Mike's. Found on Compass: "New 7500 s.f. single level commercial building for Mikes Wine and Spirits"
I don't see any plans attached. Pretty disappointing. Total disaster in the making is more honest. Anyone who thinks the QT Super Block and now Mikes is going to calm traffic and add an air of pedestrian friendly urban sophistication to this area needs to have their head examined. Agreed. And if they rip out the western half of that block and put in a parking lot of the liquor store, I'll be livid.